I’ve been a student of innovation for more years now than I care to count. 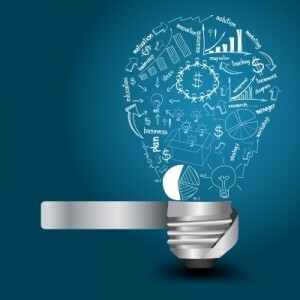 One of the things that has always made the art of innovation so very enjoyable to me is the fact that every discipline in business is of the belief that they “own” innovation, a premise from which they have each devised a particular flavor of innovation – one that mirrors their perspectives on business. I would like to take us on a tour of these different perspectives and see if perhaps we might build a bridge – or really… a series of bridges – between them so that ultimately we can each have a more complete mosaic of innovation that will allow us maximize our appreciation of this art. understand the balance of five forces impacting your particular industry at a given time; and then from these, stake your competitive strategy and go after your piece of the pie. There’s pros and cons that arise from this perspective. The cons stem mainly from holding onto an old-school version of this, which is firmly rooted in the “how we’ve always done it” camp. This view sees the external world as something out of our control and seeks stasis. That model no longer works – at all. The pros therefore stem from adopting a new-school version of this, which understands the need to constantly renew and reinvent the business into something quite different from what it has been in the past. This view embraces the premise that we can be a part of creating the future, and so endeavors to do so through market leadership. This new-school world of Business Management has made great contributions to the innovation thought pool, including such powerful frameworks as innovation-driven growth strategies, business model innovation, the business model canvas, creative new go-to-market strategies, and much more. It has also given birth to numerous innovation methods such as outcome-driven innovation (jobs-to-be-done theory) and discovery-driven innovation (trends-based). Certainly, innovation practice would not be where it is today without these contributions. Thank you, Business Management. The lens through which the entrepreneurial mind sees the world is one of how to create something entirely new and novel – in some cases something that will “unbundle”, or disrupt, an existing industry – that will allow them to make history and possibly even change the world. It’s an ambitious and quite often audacious worldview. Looking at the world through this lens, the mantra becomes one of finding a “problem worth solving” (one with the potential for scale); making a product that “people want to buy”; building / selling / learning very quickly; and scaling up the business to as large as one can as fast as one can (during which time the business is often not profitable). This world has made its contributions too – the startup enterprise, Eric Ries’ lean startup model, the minimal viable product (MVP), and – very importantly – a huge ecosystem of startup communities around the world all supporting and rooting for one another. In fact, this has reached such a fever pitch in some places that being a “startup founder” is on par with other types of celebrity status, or as I like to say, today’s startup founder is yesterday’s rock star. Certainly there’s no doubt that much of our understanding – both in startups and in large corporations – has been, and continues to be, greatly influenced and colored by these contributions from the entrepreneurial corner. Since most of these have arisen over the past 20 years, I eagerly look forward to seeing what contributions come from this corner of the innovation universe throughout the next 20 years. Thank you, Entrepreneurialism. The lens through which the Finance profession sees the world is generally one of how to invest capital in the most efficient manner possible to generate business growth, and thus maximize the return on their investment. As a new school of thought has taken hold here too, particularly through the influence of Silicon Valley and the tech sector, a new model has arisen that recognizes the need to invest organically for today, and inorganically for tomorrow, capturing the next wave of growth through emergent business models taking hold in new ventures. This is particularly true when there is the acceptance of the fact that tomorrow’s value propositions may not come from within the four walls of our existing enterprise, mired as it may be in a certain way of doing things. We owe much of this awakening to Clayton Christensen opening the eyes of business to the threat of disruption, even if the means by which disruption is happening today does not always follow the particular path Christensen originally laid out. Thus, this new school of Finance thought has made key contributions to the innovation world too, including such vehicles as venture capital (without which the entrepreneurial world would not be where it is today), corporate venturing (the outreach of large corporations to invest in bold new business models from the outside as a way of remaining relevant to a future that is yet to unfold), business incubators, and business accelerator programs. Thank you, Finance. In like manner, the world of Accounting, typically a rearward-looking profession, and a sibling of the Finance profession, has given us the practice of Management Accounting – the forward-looking forecasting of revenues, costs, and profits associated with new business models, new value propositions, and new go-to-market strategies. New business ventures would be unable to have a reliable starting point – nor corporations a means for comparing competing opportunities – were it not for the practice of Management Accounting. And so, a big thank you also to the Accounting profession. The lens through which the Design community sees the world is one of deconstructing challenges and opportunities into deeper levels of human need and attacking them at these deeper levels in order to deliver measurably better value and customer experiences. Thus, more so than anywhere else, the mantra is “know thy customer!” Design is the one discipline that knows how to effectively drive down to customers’ outcome needs and, more importantly, their motivations, so that business challenges can then be reframed into new opportunities that stem from a more deeply-understood problem statement – one capable of delivering new value at a deeper level of human need. This discipline’s contributions are very well known… human-centric design and design thinking, together with many powerful design methods like personas, empathy maps, customer experience journey maps, and probably a hundred or more creativity hacks, all used to study and better understand needs and solutions. Furthermore, human-centric design has shed a strong light on the anthropological aspects of innovation, with user research methods like ethnography and contextual inquiry, all of which hang on one central theme – empathy. Without these contributions, innovation would never have achieved some of the world’s most important products and services that we have today. Certainly, the contribution of Design has made a world of difference in the caliber of the innovations we have today. Thank you, Design. Thank you so much! The lens through which the Marketing profession sees the world is one of how to best understand and connect with our markets, with their current and evolving needs, as well as the deficiencies of current offerings toward meeting those needs – a practice generally known as Strategic Marketing. The mantra tends to be one of let’s go figure out (often in great detail) what’s going on in certain markets and what those markets’ biggest unmet needs and wants are. There’s also the emphasis on testing out new value propositions with would-be customers to see if there may be adequate demand for those propositions. And, of course, there is the practice of testing out new branding concepts in the hunt for ones that will best resonate with a particular market. In the never-ending quest for mastering this game, Strategic Marketing is constantly exploring new ways of trying to “get beyond” our customers, as customers fundamentally tend to lie to us whenever we ask them something, their stated behaviors rarely, if ever, matching their real behaviors. Thus new forms of market research are constantly being trialed, including numerous new forms of technology-enabled research methods. Marketing’s contributions to the practice of innovation have thus included such gifts as insights development (a generic, broad-reaching concept that includes such things as voice-of-the-customer), qualitative market research, quantitative market research, brand research, branding, brand innovation (leveraging existing brands for new offerings in new-to-company markets), futuring, scenario planning, and more. These often serve as important tools in validating new innovation concepts and of de-risking certain innovation efforts, at least in those situations where reliable insights can be generated, with is often enough to matter. And it’s often enough to make for a $40B global research industry. So, a warm “thank you” to the Marketing community. The lens through which the Engineering, Science, and Technology professions see the world is generally one of how to bring new value to markets through technological advancement, whether that comes from inventing new technologies or inventing new ways of using existing technologies – both powerful sources of innovation and competitive advantage. The mantra is generally one of chasing the next level of bleeding-edge technology, and of inventing “cool new things” with that technology. And – along the way – of amassing as many patents as possible so as to protect oneself from being emulated. Admittedly, technology – real, serious, game-changing technology – is foundationally what has fueled all transformational innovations throughout the history of mankind (those that have changed how society functions), while more applied technological developments have been at the root of many breakthrough and disruptive innovations. At the same time, it is equally true that there have been many, many inventions created throughout history that have had no practical usefulness – then or now. Or, as I like to say (being an engineer by training), engineers love to solve problems that don’t exist. This is why Engineering, Science, and Technology are incredibly powerful and effective tools when properly guided by market needs, whether existing or emerging. So the contributions here include technology itself (the core of many new foundations of value), the practice of invention (creating useful things from technology), product development (the practical development of new products and services for consumption), and the whole world of intellectual property, an activity that is itself sometimes used as a measure of innovativeness (some of the world’s greatest innovators – companies like IBM and Samsung for example – rack up thousands of new utility patents each year). Certainly innovation would not be innovation were it not for the role that Engineering, Science, and Technology has played and continues to play. For this, we say “thank you”. The lens through which the Human Resource profession sees the world is generally one of how do we create the organizational environments needed to promote innovation and how do we effectively engage our people to produce new innovations. This is very important in any organization that hopes to have a productive innovation agenda. The right environments send the message that innovation is valued, while the right reinforcements keep people engaged toward key innovation objectives. The contributions of this profession include Management Innovation (how we organize and lead to maximize innovativeness), Workplace Innovation (how we engage and treat people to maximize their propensity for innovation), the so-called Culture of Innovation (creating the cultures and environments that nurture and support many types of innovation), and the so-called Human Workplace (an attempt to humanize the language and practices of business so as to make them feel more human – something increasingly important to Millennials). All of these contributions have played a significant role in initiating and sustaining organized innovation within businesses. And for these contributions, we say “thank you” HR! Finally, there is the formal profession of Innovation itself within organizations. The lens through which this profession sees the world is one of how we might drive both a top-down and bottom-up agenda of short-, medium-, and long-term innovations in a sustainable fashion across the business. It requires formal structures, roles, processes, funding, and so forth in order to achieve its long-term objectives. Some of the key contributions from this profession are the Innovation Lab (focused places and environments where teams pursue experimentation for new innovation – to the world of business innovation what the R&D Lab is to the world of technology), X-Works teams (special teams tasked with developing breakthrough solutions), the Innovation Pipeline (an ongoing pipeline of innovation projects), Innovation Management (the practice of managing the pipeline and its outputs), and Innovation Engagement (the long list of mechanisms used to engage the organization in the pursuit of new ideas and turn people into intrapreneurs). Were it not for these key contributions, organized innovation from within businesses would not exist and as a result many of the world’s most innovative companies would not be where they are today, as it is their formal innovation programs that have allowed them to achieve what they have in such a short period of time (think of companies, for example, like Nike, Google, and P&G). Thus, we offer a final “thank you” to the formal profession of Innovation and to its formal corporate innovation programs. Weaving back together all of these individual perspectives, what we arrive at is this productive mosaic of innovation. We come to see that each of these perspectives on innovation – and their respective contributions to the art – are valid and necessary for the world to produce the ongoing innovations it needs. The challenge, however, is often that organizations are lacking in their ability to build these bridges between the professions (and their views) in order to create an effective holistic program of innovation. This is where businesses must strive for mastery and leadership. That happens by getting all the disciplines in the same room together, talking to one another, and working together with one another toward a common, shared set of goals and outcomes. Companies that succeed at doing this – at building these bridges between the differing perspectives on innovation – end up with some of the most effective and productive innovation engines in the world. They end up with beautiful mosaics of innovation that allow them to become market leaders and world changers. I invite all organizations to join us on this journey of building bridges and creating beautiful mosaics. Anthony Mills is the Founder & CEO of Legacy Innovation Group, an award-winning growth and innovation consulting firm. Anthony and his team work with companies to tackle big wicked growth challenges, building new businesses, brands, products, and services – and reinventing existing ones. They help companies become relentless innovators so that they can remain relevant to the world around them. Learn more at www.legacyinnova.com.